Updated: The AOC X24P1 offers a now rare 16:10 aspect ratio which provides extra vertical space perfect for document processing and browsing. The monitor also comes with a modern design along with the advantages of IPS technology to offer excellent viewing angles and sophisticated aesthetics. The AOC X24P1’s WUXGA resolution makes it a compelling business solution for more productivity. The AOC X24P1, which appears much squarer than your typical monitor, utilizes a clean and upscale design suitable for executive’s desks or design booths in studios. The monitor comes with a combination of smooth and brushed matte black finishes which should be resistant to staining and dust in the long term. The face of the monitor sports a three-sided borderless design similar to Dell’s Infinity Edge concept which makes this product superb for side by side multi-display arrays. 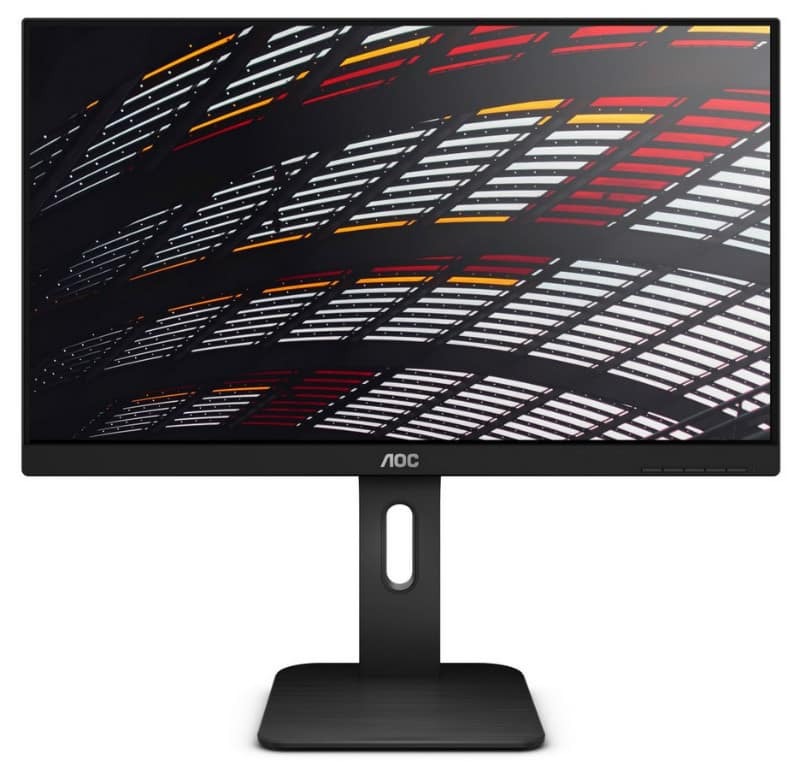 However, the AOC X24P1 still isn’t a true frameless monitor since it uses a dual stage bezel design composed of a thin hard outer layer and a reasonable panel border. This gives users a cleaner, less distracted view of the 16:10 screen and the extra real estate it offers. However, the bottom strip is thicker so it can accommodate the tactile OSD buttons for easy access. The AOC X24P1 isn’t limited to good looks since it’s also built with reliability and longevity in mind. The product has a nice weight to it and a solid feel just like most of AOC’s monitors. The manufacturing process, despite the affordability of the monitor, was not sacrificed so details like seams are intact with no physical defects. The latter makes the AOC X24P1 non-ideal for dual or triple display setups in portrait mode which somehow limits its potential as a candidate for multi-display arrangements. 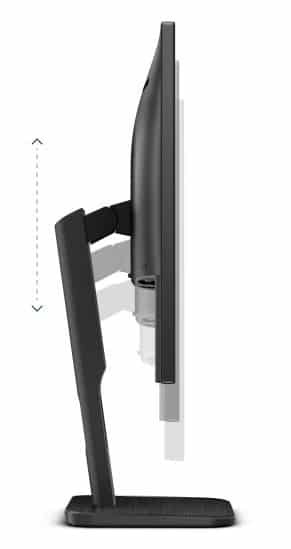 This model is flexible after all, thanks to its ergonomic stand which offers tilt, swivel, pivot, and height adjustments. The AOC X24P1 can also be mounted by removing the stand above to reveal VESA holes for aftermarket solutions. The AOC X24P1 includes an impressive I/O layout for a home and office display which in many ways, extends its versatility. The panel at the rear consists of DisplayPort 1.2 and HDMI 1.4 slots, but there also is a VGA and DVI connector for legacy devices. On the side, you will find a 4-port USB 3.1 convenience hub for your thumb drives and peripherals. There is also a pair of 2-watt speakers and a 3.5mm jack for audio pass through. Users who choose the more common-use monitors usually appreciate these extras since they eliminate the need for extra peripherals. The pair’s power isn’t sufficient for entertainment use, but it’s a suitable solution for background music while working. The AOC X24P1 sports a 24-inch IPS panel with a larger, 1920 x 1200 WUXGA resolution, 60Hz refresh rate, and 4ms response time. A WLED backlight with 250cd/m2 max brightness and 1000:1 contrast are also specified which should be sufficient for most uses. The screen comes with a matte AG coating which doesn’t signifcantly affect the output. The AOC X24P1 is capable of good color output and accuracy thanks to its 8-bit IPS panel that’s perfect for the job. A colorimeter reveals that the screen is able to produce 99% of the sRGB color space, adding a nice touch of vibrancy to the screen. It’s difficult to notice the difference between this display and another with 100% coverage, so that shouldn’t bother most users. Color accuracy out of the box sits with a DeltaE average of only 1.8 which equates to near-lifelike color quality. AOC did a fantastic job of tweaking this monitor before releasing it to the public, giving it a semi-designer suitability. Finding a mixed-use monitor at this price range with the same quality is almost next to impossible since most require manual calibration. 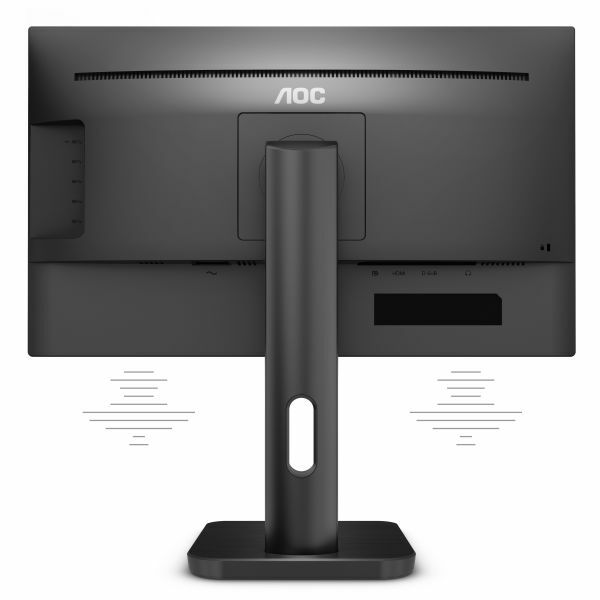 The AOC X24P1 is also able to exceed its 300cd/m2 spec for the backlight, reaching almost 390cd/m2 at full blast. This capability gives users a refined range of illumination adjustment. You can also pump this setting up if you want colors to pop for clearer image details. One thing the AOC X24P1 can improve on is its average contrast ratio which sits at 700:1. You can pump this up to 900:1 by adjusting brightness to around 40%, to improve this aspect, for day to day use. We think that this limitation does not affect the product’s intended purpose such as office work or browsing. The AOC X24P1 does well when it comes to the balance of the backlight since the recorded deviances on each quadrant did not exceed 8%. however, the display’s lower part had a noticeable variance from the D65 standard. Most users will not be affected by the extra vibrancy at the bottom of the panel, but editors may dislike the slight unevenness for their type of work. The 16:10 aspect ratio with a 1920 x 1200 resolution isn’t the best for gaming due to its more squarish shape. You’re better off buying an affordable 1080 144Hz display if our favorite hobby is the priority for the upgrade due to this minor complaint. The AOC X24P1 also doesn’t have gaming chops because it has a limited refresh rate while FreeSync is excluded from the feature list. It’s still suitable for casual gaming especially since it’s input lag averages at only 9ms, but there are better options in the market for that type of use. The AOC X24P1’s performance is solid, but we can’t help but feel uncomfortable gaming with it and its unique resolution. 16:10 displays are not new, but they have become rare since the computing world now prefers 16:9. Most content formats and even some games’ supported resolutions are mastered for the latter, so some media may not be shown fully. The monitor, however, is great for productivity since the extra vertical space provides some headroom for scrolling. Couple this characteristic with the monitor’s excellent color and bezel-free design and you get a monitor that’s attractive and nice to look at. Pricing isn’t as competitive compared to typical 16:9 displays, but the AOC X24P1 still offers superb value due to what it offers.